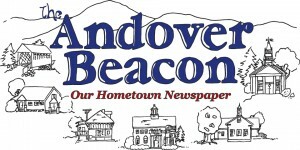 Community Publishing of Andover, Inc. (a 501(c)(3) non-profit corporation) publishes The Andover Beacon monthly and several annual community publications throughout the year. The Bookkeeper plays a vital role in keeping the organization’s data resources – its accounting transactions and donation and subscription records – up-to-date and accurate. The Bookkeeper also helps support the Board of Directors, the Publisher/Editor, and the production team by making that data available to them in useful, meaningful forms. This is a part-time paid position, approximately 21 hours per month. The Bookkeeper reports to the Publisher/Editor and works closely with our volunteer accountant at mutually-agreeable times. Comfortable with computers. Proficient with (or eager to learn) Quickbooks, Microsoft Office (Word, Excel, Access), and Google Drive (Docs, Sheets). Work with our volunteer accountant to help manage the organization’s finances. If you are interested in this position, please e-mail your resume to Charlie@nullAndoverBeacon.com.